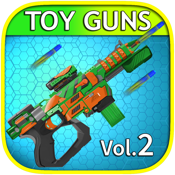 Great virtual toy weapons for your kids with Toy Guns - Gun Simulator VOL 2 Pro. 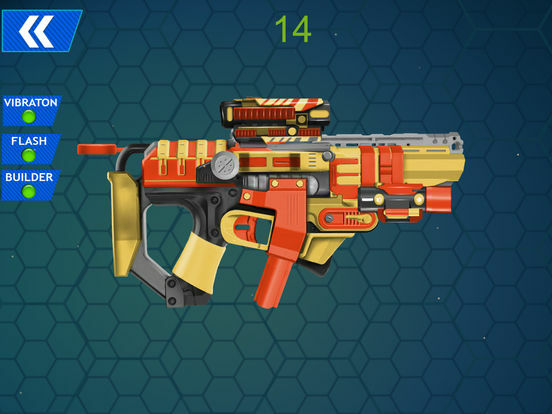 Toy Guns - Gun Simulator VOL 2 Pro is one of the best weapon games for kids and you can be sure that your kids will have great fun with this toy gun simulator. It is a fact that all little kids love toys the most. They can play all the time with their favorite toys. And now you can give them fantastic virtual toys and without going to a toy store. 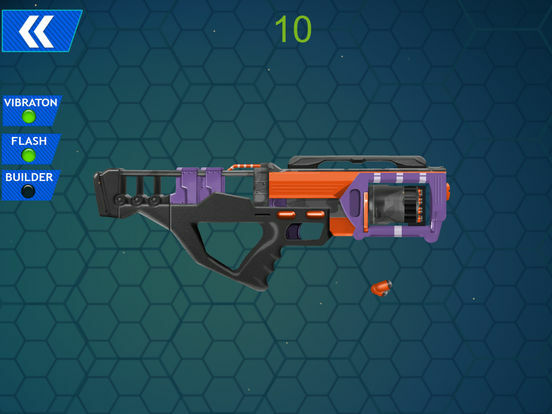 With our simulator game you can have the best virtual toy weapons on your phone. We have made this weapon simulator for all little kids in the world and we are sure that this will be one of the best games for boys. 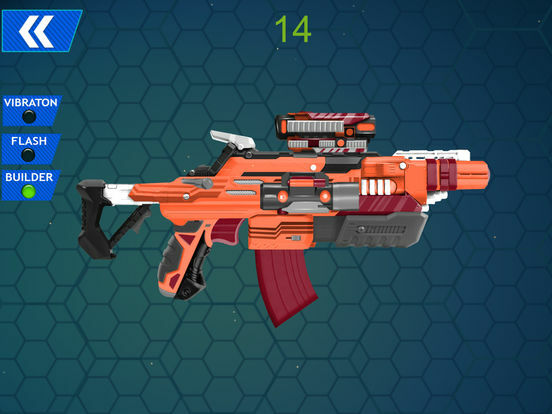 But, colors of toy weapons are so beautiful that also girls will adore this gun simulator. This, also, will be one of the best games for girls. Fantastic things you and your kids will have with Toy Guns - Gun Simulator VOL 2 Pro. In the first place is a huge selection of toy weapons that we have prepared for your kids. And this simulator game can start when your kids choose the right weapon for them. They will have a great time with this gun simulator and you will have some time just for you. But more great things we have for you and your kids. Realistic toy weapon sounds and authentic toy weapon mechanics this gun weapon simulator will bring to your phone. All of this great things just for your kids. One of the best gun games for kids can start when your kids choose appropriate toy weapon. And this, probably, will be a problem because all the toy guns are amazing. They won't be able to stop shooting until they try all the weapons. The amazing thing is that with this toy gun simulator your kids will have unlimited ammo, so they can shoot as long as they want. Great fun all the time with fantastic simulator game. Now you will have much more space in your house because real toys will be exchanged with virtual toy guns. 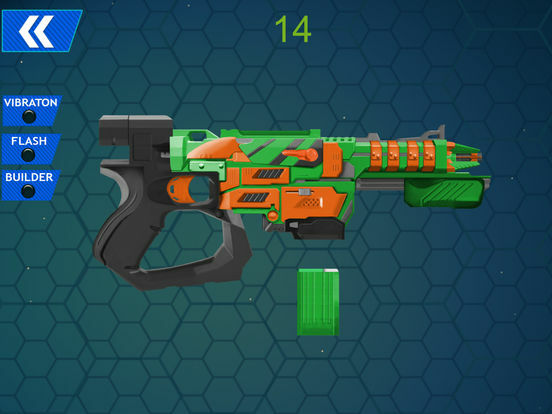 Since we know that toy weapons are the most popular toys for boys, we have made this gun app especially for them. But, also girls will have a fantastic time with gun simulator. So, don't waste your time anymore and give to your kids the best virtual toy guns. You will be satisfied when your kids are satisfied and with Toy Guns - Gun Simulator VOL 2 Pro they will be totally delighted. Have a great time with your kids, shoot with them from virtual weapons on your phone and enjoy in every second with them with Toy Guns - Gun Simulator VOL 2 Pro - the best toy weapon simulator in the world.